Well its certainly getting colder at now as we head into winter. Our wildlife will be making the most of any fruit on trees and bushes now to make sure they have enough weight to survive the winter should it be a harsh one. Although at WRAS we are not big fans of feeding wildlife artificially, during cold or hot weather when food can be difficult to source, feeding our wildlife helps in the short term. Try your best to use natural foods as much as possible, like fruits, berries and seeds. Also ensure you don’t put too much out as over feeding can cause problems too. Ensuring you feeders, feeding stations and tables are kept clean is really important at this time of year to help prevent the spread of diseases. So make sure you pick up any old food and remove faeces from where the animals eat. Fresh water is also important too. There has been a lot of debate recently about feeding bread to swans and other waterfowl. Many people say you shouldn’t feed bread and that it is bad for them. Well that’s not quite true. Bread is certainly not the best of food for waterfowl but its not bad for them if fed in moderation. Problems can occur if too much is fed and its their primary food source, but as party of a balanced diet bread is ok to feed. Problems primarily occur around park ponds where large numbers of people feed the same food. The excess food sinks to the bottom of the pond causing pollution problems and encouraging parasites. Dropped food of any variety can cause problems with rodents moving into an area, so regardless of what you feed please be careful. Waterfowl like swans and ducks are generally grazing birds so will eat grass and algae growing in the water as well as roots from vegetation hanging into the water or even grab leaves from over hanging trees and bushes. 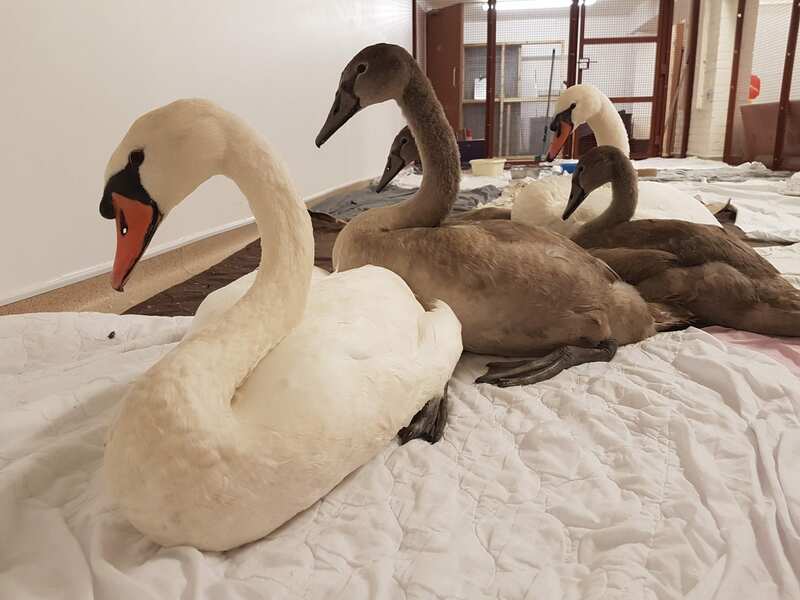 In some areas people have given up feeding swans completely because people have been told that feeding bread is bad for swans. There has been many theories that bread causes angle wing, pink feather syndrome as well as other conditions but new research in the states is proving this not to be the case and other causes have been found. Feeding waterfowl can be very education if you have young children and has a feel good factor, but please feed responsibly and with moderation. Foods good for swans are wheat, leafy greens, dried grass, grains and cereals, swan food or pellets. The Swan Sanctuary at Shepperton recommends feeding small amounts making sure it is eaten before feeding more. Always feed on the water. Never feed them anything mouldy. 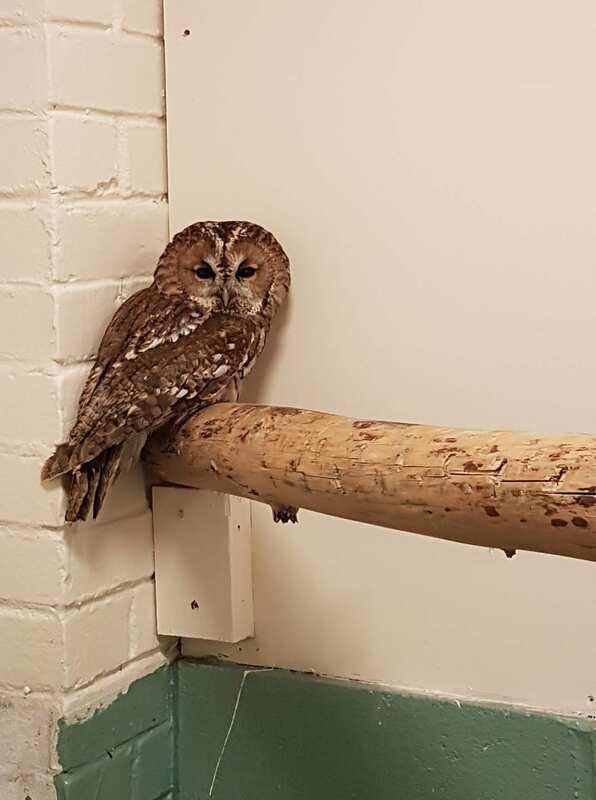 The Tawny Owl which came into care on the 4th November from Laughton after being hit by a car has been released back to the wild. He was slightly stunned and with an injured shoulder. He was given cage rest for a week, before moving into one of our aviaries and given regular flight sessions to build his strength back up. Last week he was given the all clear to go and was released back home in Laughton. You can find a video of the release on our facebook page. This Sunday is our Christmas Fair at East Dean Village Hall, Village Green Lane, BN20 0DJ, between 2pm and 5pm. Please come along and support our work. Free entry and lots of stalls and plenty of opportunities to buy gifts for christmas. There will be refreshments available too.